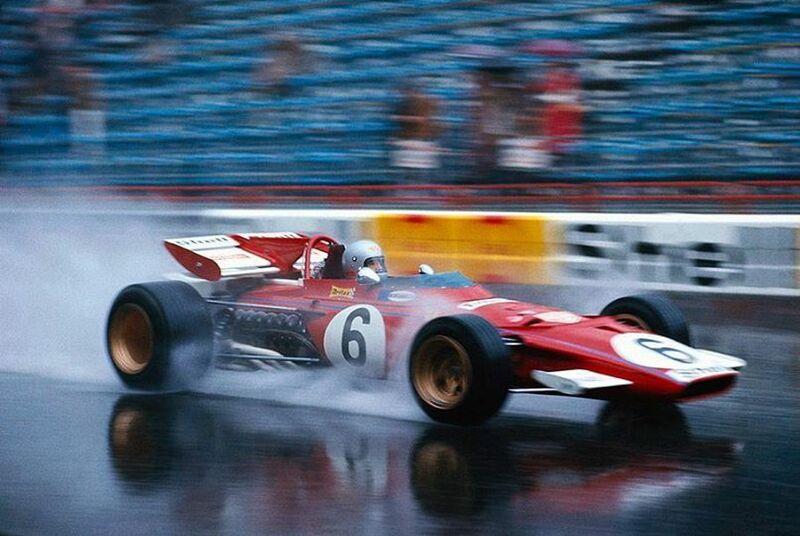 Qualifying was extremely wet and so it was Friday morning times that really counted for the grid; for Mario Andretti this was particularly unfortunate, as his Ferrari 312B2 was stranded out on the track at this time so he was unable to qualify despite lying second in the World Championship. Jackie Stewart claimed a stunning pole position over a second ahead of his front row companion Jacky Ickx and in the race shot into an immediate lead from the fast-starting Jo Siffert, Ickx, Pedro Rodríguez, Ronnie Peterson and Denny Hulme. Chris Amon stalled on the grid and Graham Hill - seeking a 6th Monaco win - made a rare mistake, hitting the wall at Tabac on lap 2. Stewart extended his lead from Siffert and Ickx, despite being painfully ill from fumes leaking into the cockpit. Peterson was astonishing the crowd with his valiant attempts to take 4th place from Rodríguez, who was baulking him as much as was legally possible. Hulme managed to join the battle and pass Peterson on one lap. Eventually the Mexican slipped up under pressure and locked up a wheel to let both Peterson and Hulme through. Stewart went on to win the race.